I’m happy to see the nuclear industry getting it’s name out there in the public eye. It’s about time! 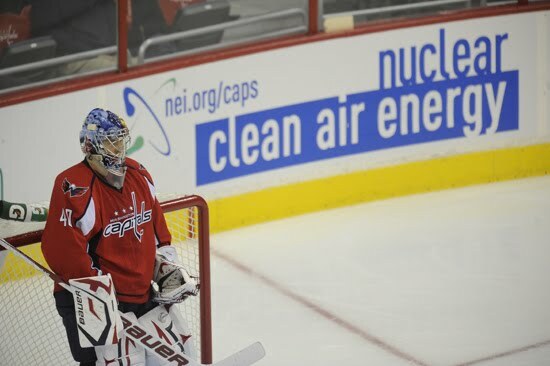 The latest venture is sponsorship of the Washington Capitols Hockey Team in an advertisement promoting the “Clean Air benefits” at Verizon Center in Washing DC. Hey, if T. Boone Pickens can do it, so can we! According to the Associated Press, the ad has some anti-nuclear groups fuming! In my book that’s a good thing! Greenpeace hates it when we tell the truth in a way that the public can relate! This follows on the heels of NEI and Entergy’s sponsorship of a Newman Wachs Atlantic Championship race car. Keep it up! Before you know it Nuclear Energy will be a household name!